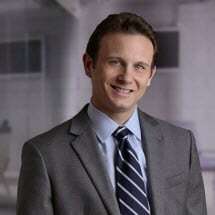 Michael J. Goldstein is a partner at Goldstein & Goldstein, LLP. He is a Certified Civil Trial Attorney and focuses his practice on trial litigation. Michael graduated early from the University of Michigan - Ann Arbor, where he majored in Economics. After college, Michael attended law school at Rutgers University - Newark, where he was an associate editor of the Rutgers Computer and Technology Law Review. Following his first year of law school, Michael completed a judicial externship under Hon. Dennis F. Carey, III, J.S.C., in New Jersey's Essex County Superior Court. Upon graduating from law school, Michael worked as a judicial clerk in New Jersey's Union County Superior Court for Hon. William L'E Wertheimer, J.S.C. Michael then spent the next two years working for Coughlin Duffy LLP, a Morristown firm, in its commercial litigation department. Michael then decided to join forces with his father, Richard Goldstein, Esq., to protect the rights of the victims of all types of personal injury law. Michael is admitted to practice in New Jersey and New York, as well as the District Courts of New Jersey. Michael concentrates his practice around personal injury litigation. Michael is a member of New Jersey's Association for Justice, as well as the American Bar Association, New York State Bar and the New Jersey State Bar.